The successful collaboration between the Dutch and Zambian Departments of Habitat for Humanity and WakaWaka has lit up the Linda Community in Lusaka province! A first distribution of 504 WakaWaka Powers+ in April 2016 was met with so much enthusiasm by both Habitat for Humanity Zambia and the Linda community that forces were combined again to make a second distribution round possible, which took place in May and July of this year. What makes this donation stand out is that besides donating 250 WakaWaka Powers, the donation also included 100 WakaWaka Base10 and 135 Pocket Lights, a pilot providing both Habitat for Humanity and WakaWaka itself with key information on the response to these means of sharing light and power. What is the situation in Linda? “Linda” is a rural community in the Lusaka province of Zambia. The Linda community has a population of 35,000 people, of which the majority isn’t formally employed. The community is behind on the development of basic infrastructure, such as roads and accessible energy sources. With the re-emergence of load–shedding in Zambia, there is a lack of continuous and reliable energy. Sad to say, the Linda community is also behind in other areas of development such as education, healthcare and housing. The successful collaboration between the Dutch and Zambian Departments of Habitat for Humanity and WakaWaka has lit up the Linda Community in Lusaka province. 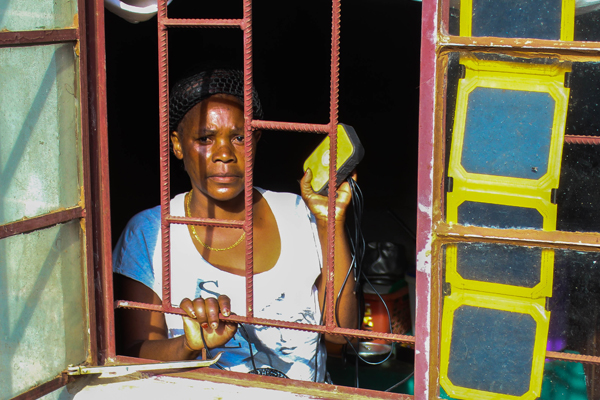 The WakaWakas were successfully distributed to a wide array of beneficiaries within the community and were received with a lot of enthusiasm and anticipation, as was made clear by the large, energetic turn-up during distributions and demonstrations. 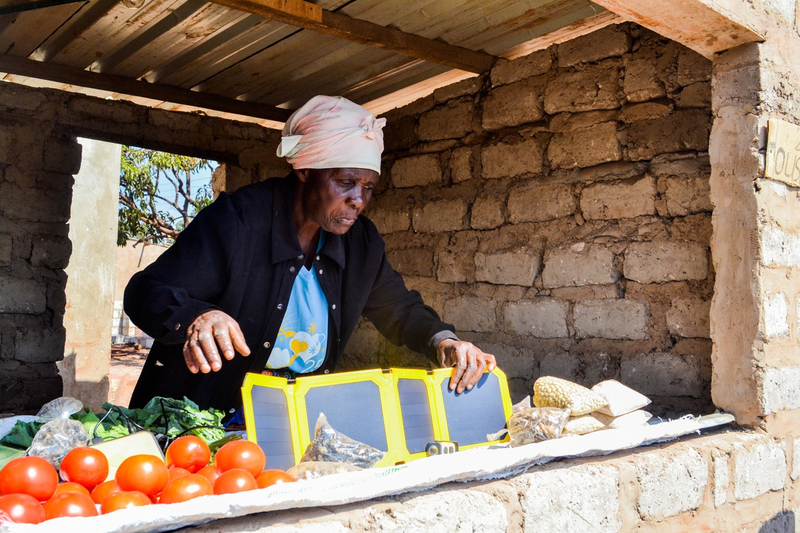 Community members were very keen on obtaining a WakaWaka and joining the group of beneficiaries using alternative energy and lighting solutions. So who’s lucky hands did these WakaWaka’s end up in? Students who can do their homework after school. 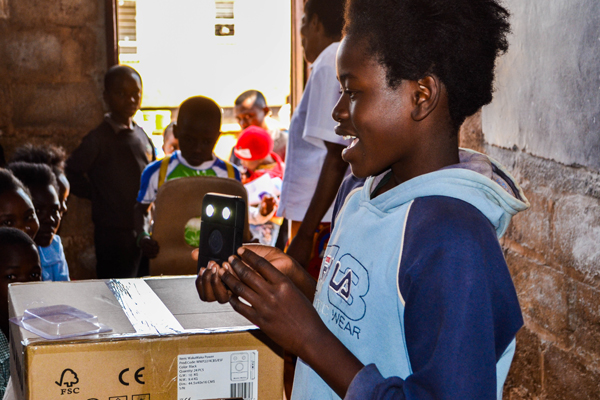 The Pockets Lights now allow many students to study and make their homework after dark as they were distributed to grade 7 and 9 students within the Linda community of both the Zambia Open Community Schools and the Mercy Primary School. In Zambia, grade 7 and 9 are very important for these students’ progress, as examinations take place during these grades. The Pocket Lights provide them with a source of light that makes studying after dark easier, giving them more time to prepare for their tests and examinations! 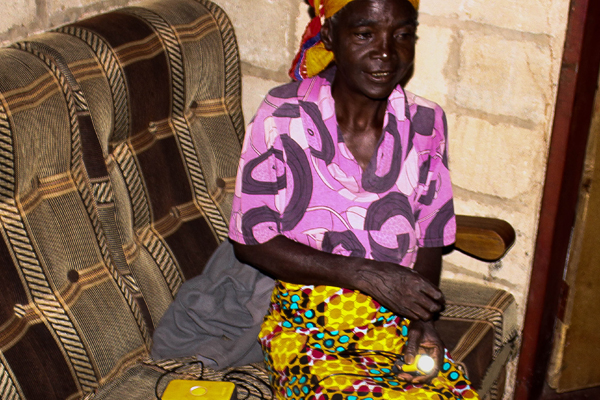 More than half of the WakaWaka Base 10’s were handed out to home-owners within the community, and the remaining units were distributed to other partners within the community, such as the Salvation Army, and community workers. These latter two recipients later also played a key-role in demonstrating the use of the donated devices to others. The most vulnerable community members. The WakaWaka Powers were given to vulnerable community members, including families that consists of six or more people and families that care for children aged between 13 and 21, who are most likely to have a smartphone and are often still studying. Other recipients were vulnerable women who were given a Power+ through healthcare units aimed at reaching orphans and other vulnerable children (OVC) present at several churches within the community. The Linda community experienced benefits on many areas like education, economic situation, safety in the community and safety in the homes. Travelling to and from the village, and visits to family members in other rural villages was made easier, homes were made safer by removing combustive light sources such as kerosene lamps and candles. The WakaWakas also allow extended opening hours of roadside shops which brings longer working hours, supporting livelihoods and an increase in economic situation. Besides that, families are saving on energy costs since charging the devices in the sun is completely free!